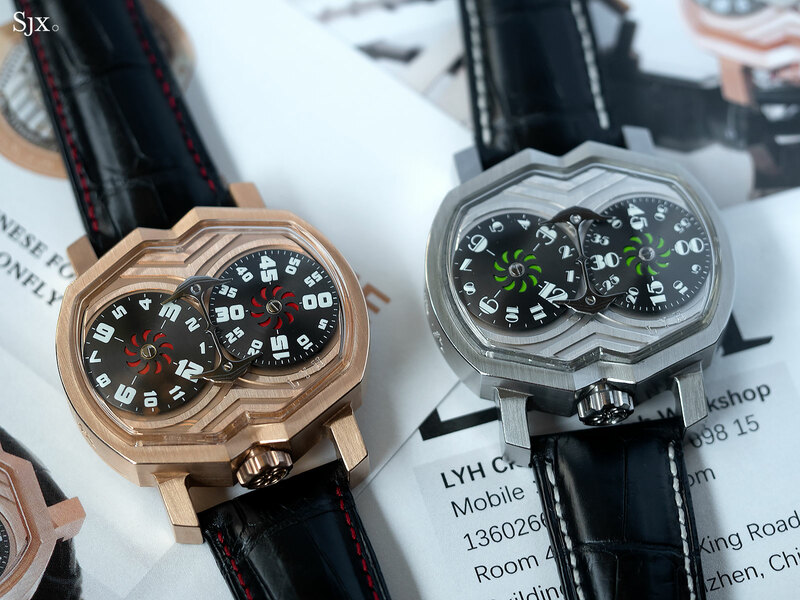 Now in his mid-40s and a candidate for entry into the AHCI, Chinese watchmaker Lin Yong Hua started LYH Watches in 2012 to produce his own timepieces. 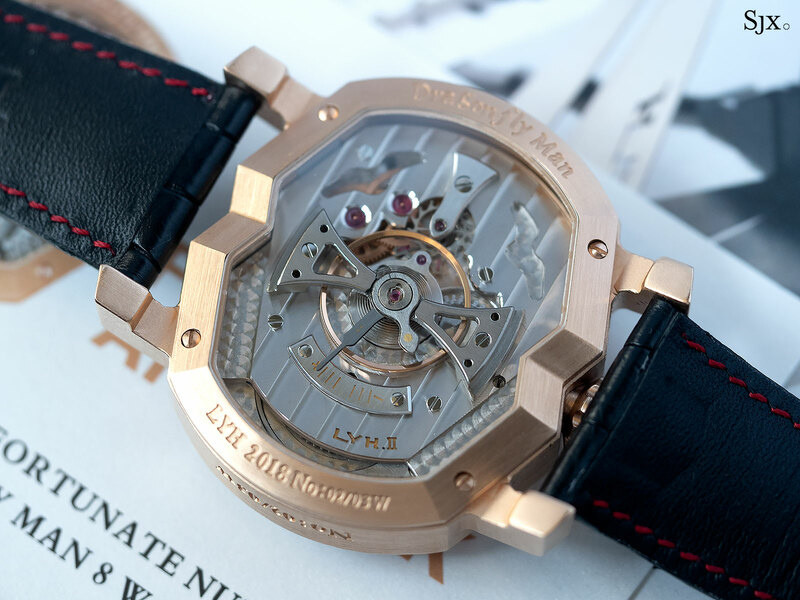 His venture came after a career that started in a quartz watch factory, followed by striking out on his own with a workshop to repair mechanical watches. 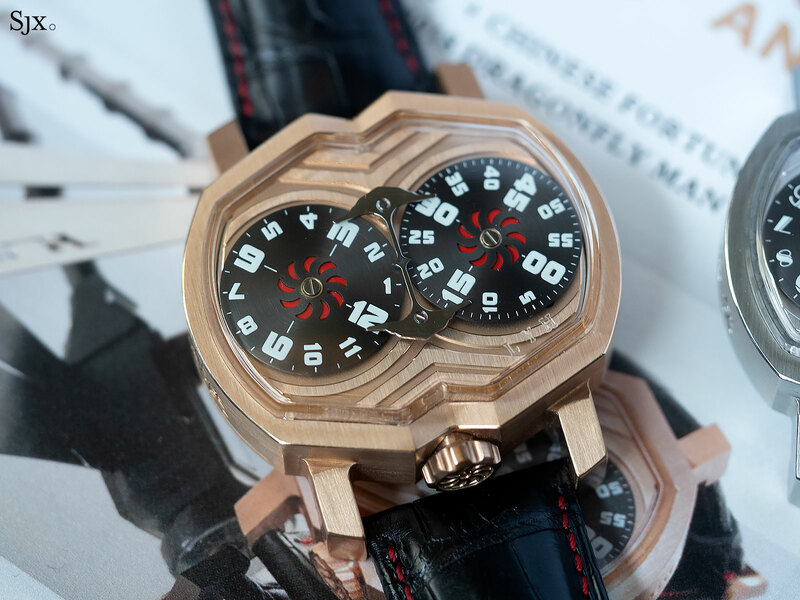 After several earlier watches that were both inventive and quirky, Mr Lin recently unveiled the Dragonfly Man, a wristwatch that is just as unusual, but will nevertheless appeal to followers of contemporary independent watchmaking. 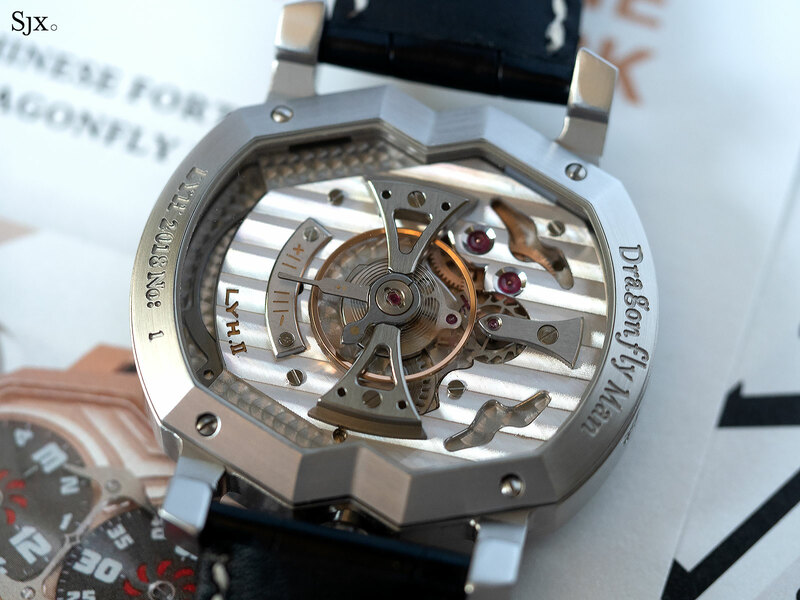 And like Mr Lin’s other watches, much of the Dragonfly Man is built in-house, even the case. The watch is loosely inspired by Mr Lin’s dragonfly sculpture, a steel dragon with a working tourbillon regulator as its head. 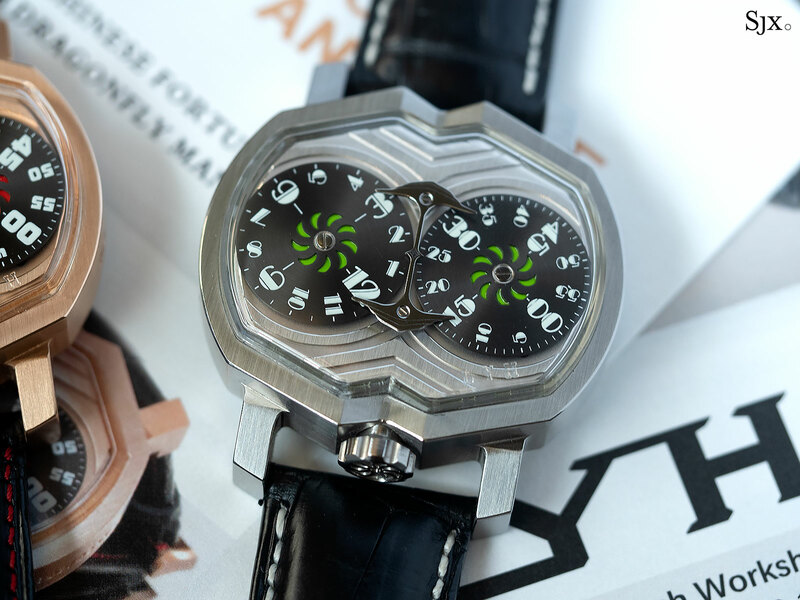 The Dragonfly Man wristwatch, on the other hand, is essentially an avant-garde regulator display. Hours and minutes are indicated on separate discs – hours on the left and minutes on the right – bearing numerals printed in large, perhaps incongruent, Art Deco font. The layout of the display is meant to evoke the number “8”, which is a near-homonym for fortune in Mandarin and other Chinese dialects. Though unusual it is easy enough to read, with the time shown in the centre with a fixed pointer. 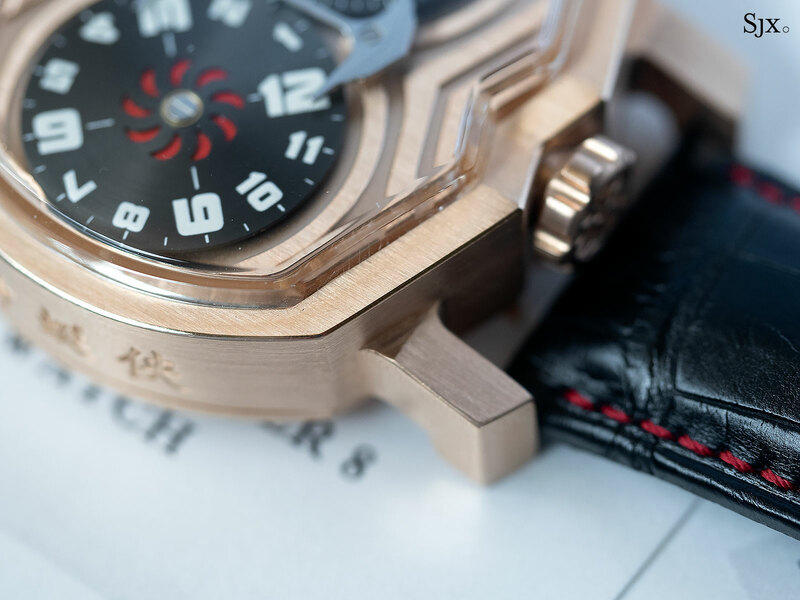 Despite being chunky, the case is wearable as it is not overly large, measuring 45mm wide, 40mm long and 14.8mm high. A good part of the height comes from the highly domed crystal that’s made of acrylic, with “LYH” etched onto its lower right corner. The case is made entirely by Mr Lin, and is still rudimentary in its finishing. 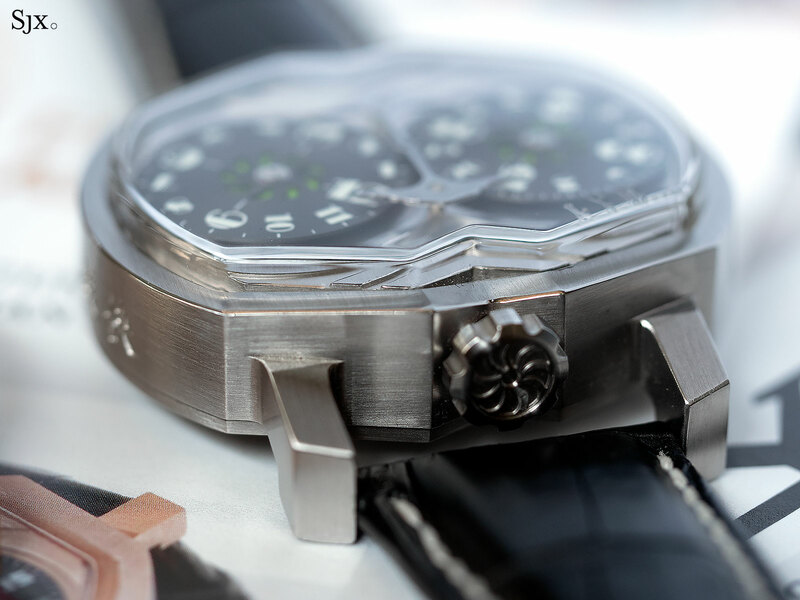 Mr Lin says the surface finishing on the final production watches will be improved. 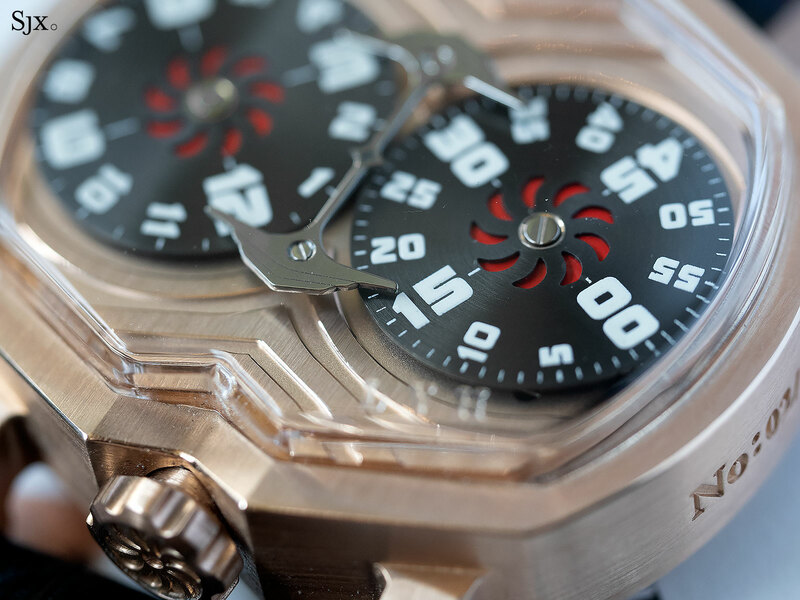 Although the front of the watch is hard to miss, the real action is on the back. 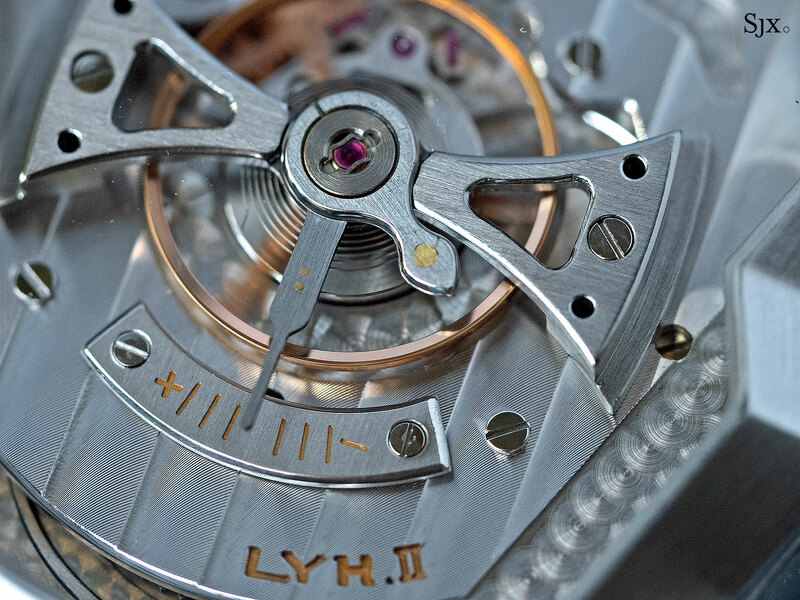 The movement is Mr Lin’s own construction, though it uses several components from a Unitas 6498, including the balance wheel, hairspring and barrel. 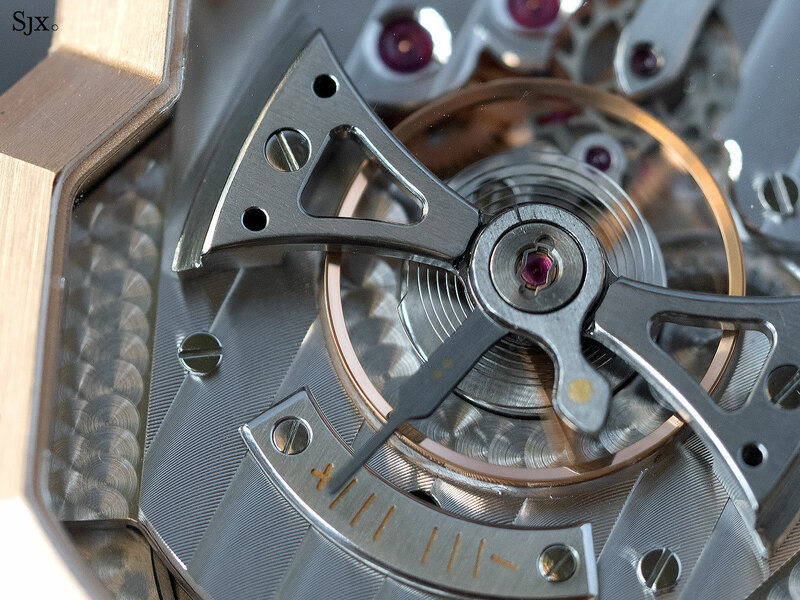 It’s laid out to have the silhouette of a human head, with the large balance wheel sitting raised in the centre of the movement, along with an elongated regulator index. 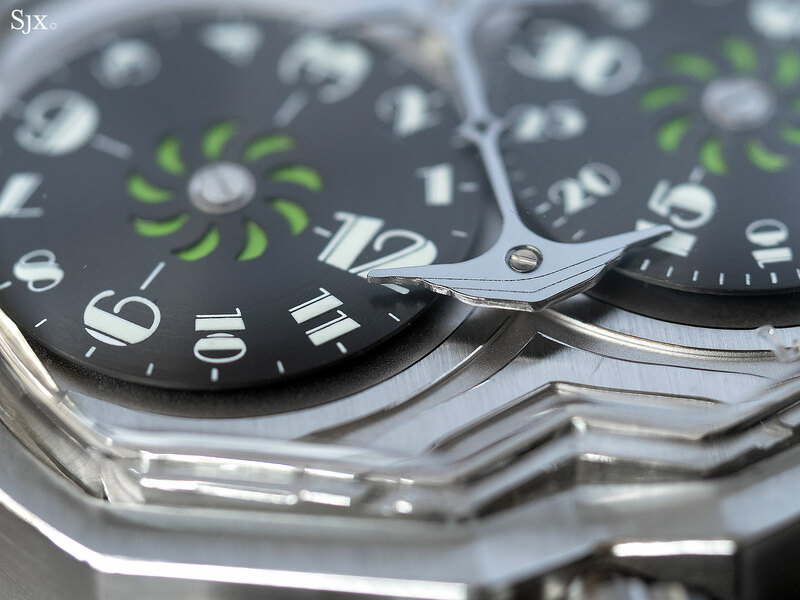 The styling of the movement is contemporary, relatively symmetrical, and appealing. 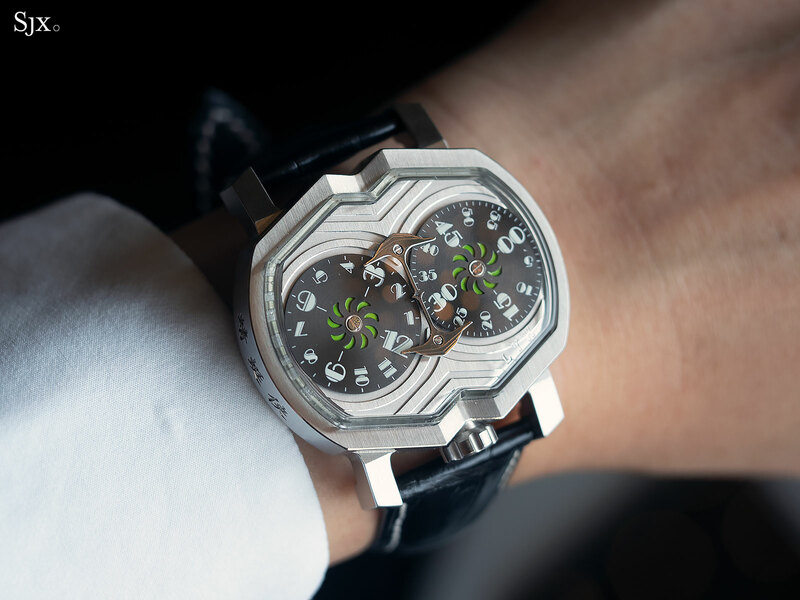 More notably, a movement this unusual is uncommon at this price point – the steel model costs US$10,000 – though its details still need refinement. 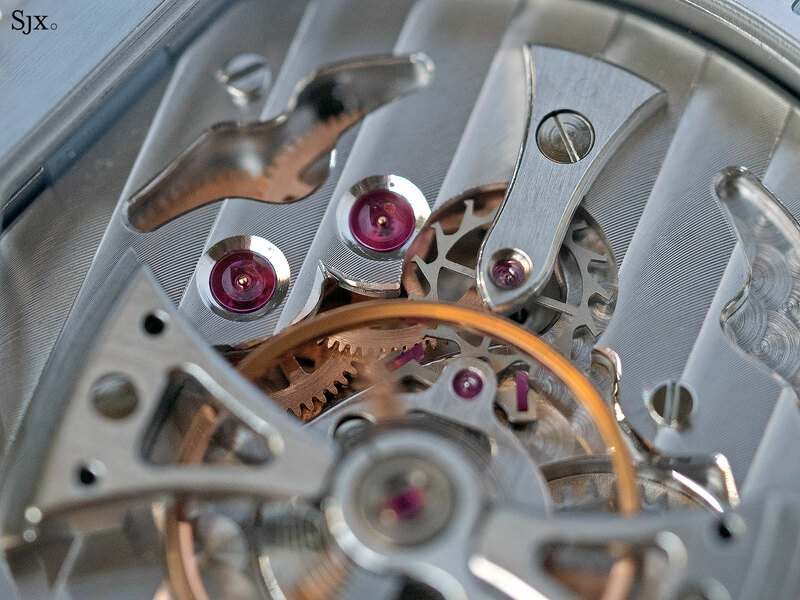 Attention has been paid to its finishing, so the jewels sit in countersinks and the wheels are circular grained. But some parts lack decoration, and others are obviously done mechanically. The striping on the bridge, for instance, is extremely pronounced. Some tweaks to the technique can nudge the finishing to appear more artisanal, despite being done by machine. 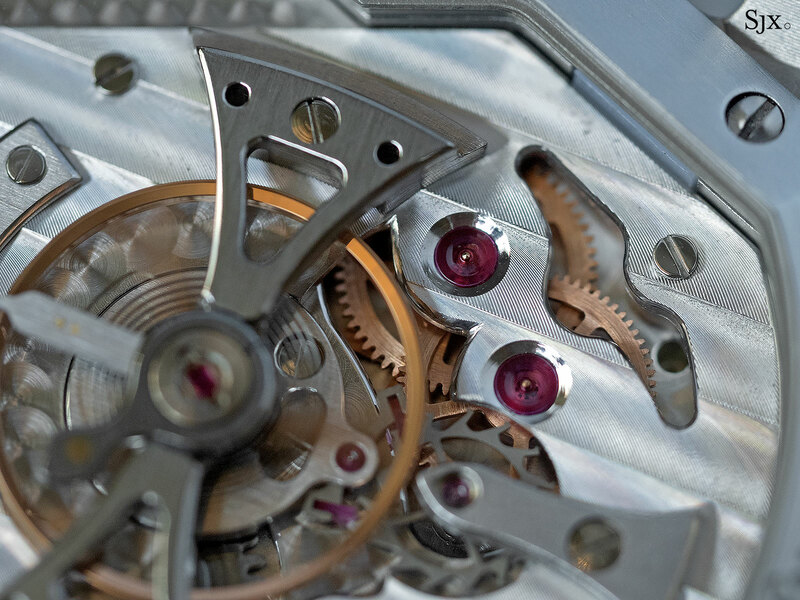 But as with the watch case, the movement will be refined before it enters production. 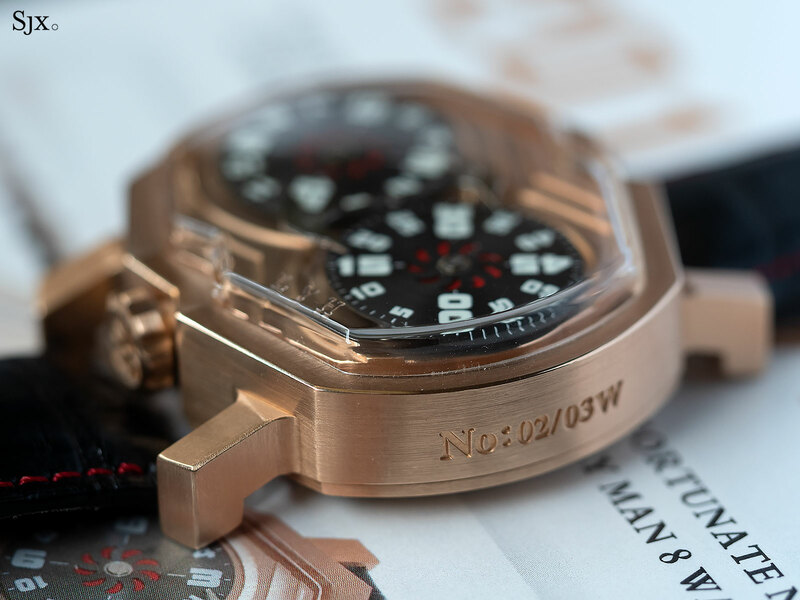 The Dragonflyman is limited to three watches in each precious metal – rose, white, and yellow gold, and platinum – and in limited numbers with a stainless steel case. It costs RMB138,000 in gold, or about US$19,900, and US$10,000 in steel. The watches are available direct from Mr Lin via email, or WeChat 13602669815. Unusual watches with a musical theme, made by an AHCI candidate. Introducing the Clockwork by Adam Wrigley, a working tri-axial tourbillon made with 3D printed plastic parts - which you can build at home too.